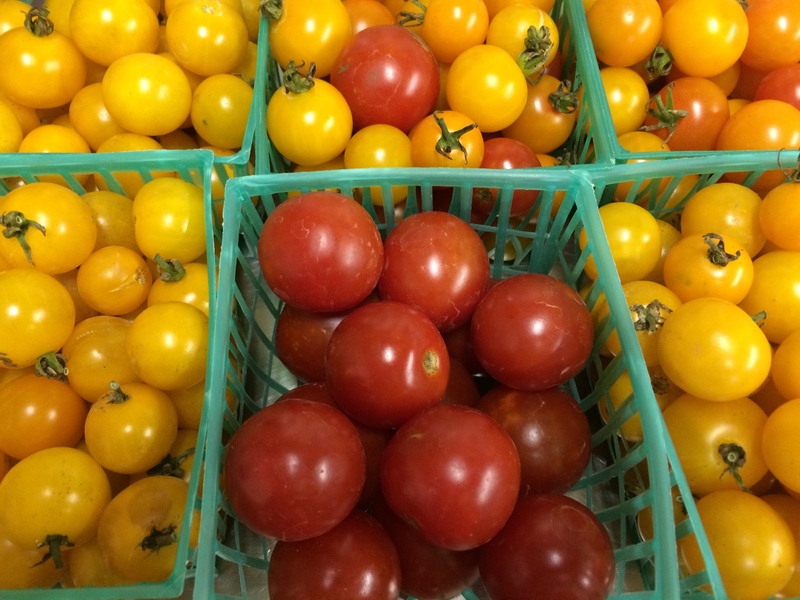 We are grateful to have a tomato crop this season. The past two years, our plants have succumbed to blight. This season, the plants still had to content with excessive moisture, but they have yielded some delicious fruits despite the wet weather. With the summer season winding down, it is time to be sure to preserve some crops for winter enjoyment. 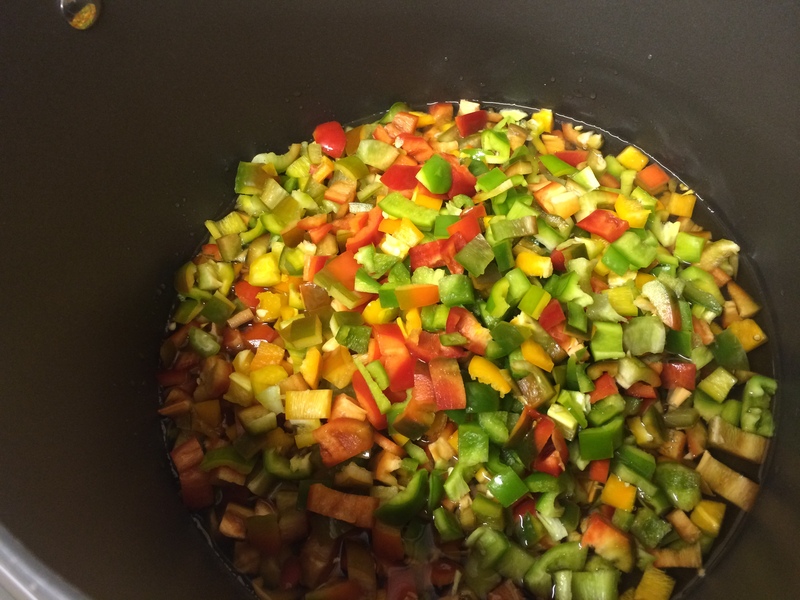 Winter is prime time for soups, stews and chilis, so having some tomatoes on hand is a plus. We have a Foodsaver vacuum sealer. This affordable appliance is great for packaging items (such as tomatoes) for the freezer. 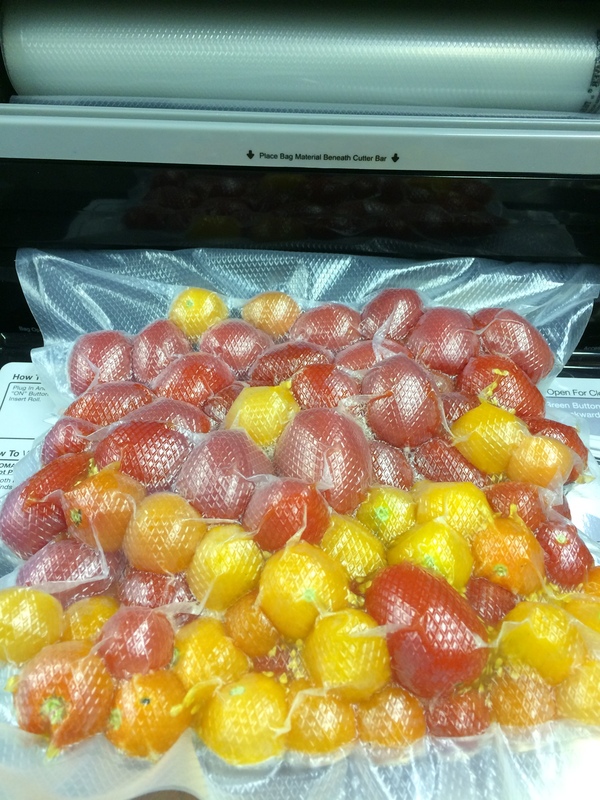 You certainly can use Ziplock freezer bags…just be sure to get as much air out as possible to limit freezer burn and loss of quality. 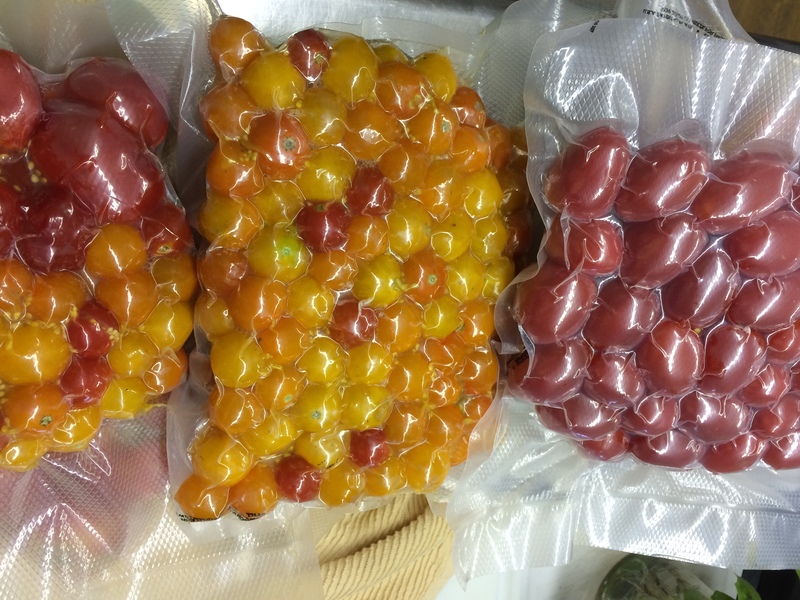 Vacuum sealing helps to prevent freezer burn and rapid degradation of flavor and quality. To package the tomatoes, I just put whole fruits in the bag! It’s just that simple. I do not blanch, core or remove skins. This winter, when I thaw these tomatoes, they will resemble stewed fruits. Their skins easily will come right off! No fuss or muss. It’s perfect for cooking. 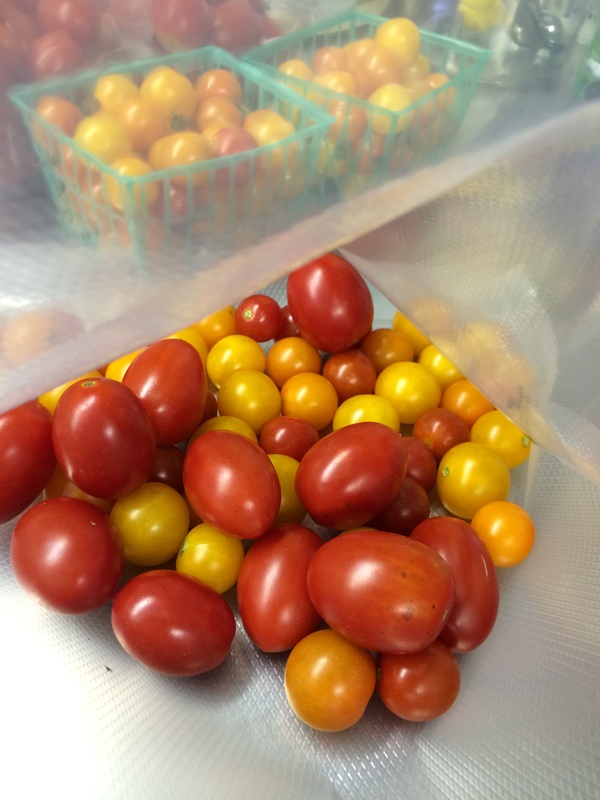 If you’ve space in your freezer, freezing tomatoes is a quick food preservation alternative to canning. I love all the colors along with the different shapes and sizes. 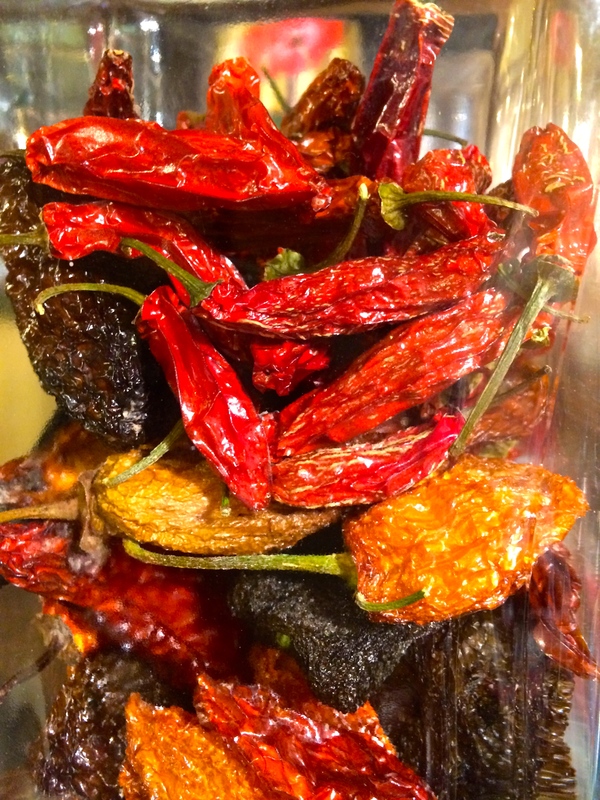 This mix has habanero, poblano, serrano, and Hungarian hot wax.